There's a new hero in town in this raucous shooter! 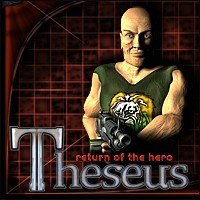 Powered by the Alien Shooter engine, Theseus: Return of the Hero has the same feel and addictive game play that you know and love. Faced with 10 uniquely challenging missions, you'll be fighting alien creatures from dawn until dusk, in forests, farms, cities and many other locales. You can upgrade your hero, equipment and weapons at the inventory shop before you start each alien annihilation! So pick up your gun and get to it! query: INSERT INTO accesslog (title, path, url, hostname, uid, timestamp) values('Theseus: Return of the Hero', 'node/1134', '', '3.80.224.52', 0, 1556143334) in /home/surelion/public_html/drupal-4.6/includes/database.mysql.inc on line 66.